Although music is known to be part of the great social movements that have rocked the world, its specific contribution to political struggle has rarely been closely analyzed. Is it truly the 'lifeblood' of movements, as some have declared, or merely the entertainment between the speeches? 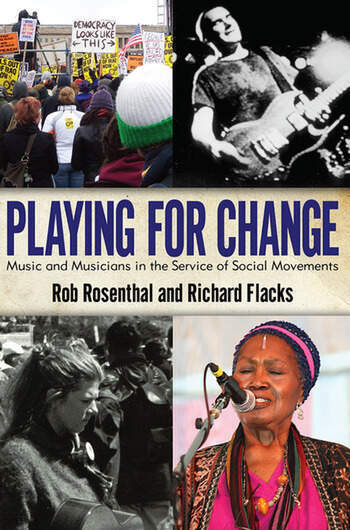 Drawing on interviews, case studies and musical and lyrical analysis, Rosenthal and Flacks offer a brilliant analysis and a wide-ranging look at the use of music in movements, in the US and elsewhere, over the past hundred years. From their interviews, the voices of Pete Seeger, Ani DiFranco, Tom Morello, Holly Near, and many others enliven this highly readable book.